After weeks of sneak peeks of OPPO’s latest smartphone, the OPPO F5 is finally set to launch in the Philippines in three days. Capture the Real You with OPPO’s very first full-screen model, equipped with the A.I. Beauty Recognition technology – a feature that received an overwhelming feedback among OPPO fans online since the first batch of teasers were spotted in malls last September. The OPPO F5 official launch on October 26 at City of Dreams, Pasay City will be featured on OPPO Philippines’ official page through Facebook Live from 6 PM onwards. Watch out for the special performances of OPPO’s very own brand ambassadors Sarah Geronimo and Alden Richards, and the manifestos of OPPO influencers Julia Barretto, Joshua Garcia, Toni Gonzaga, Gabbi Garcia, Janella Salvador, Apple David, and Carla Lizardo. In line with the much-awaited launch, OPPO fans better hurry for a chance to win an OPPO F5. 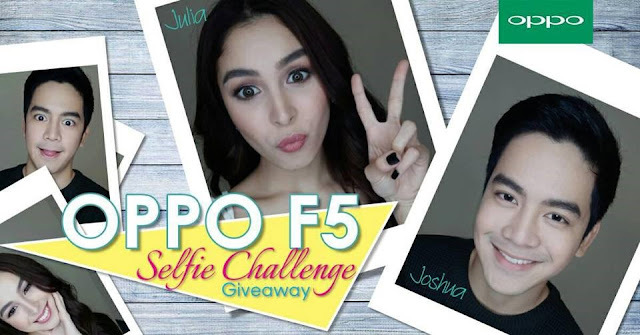 The OPPO F5 Selfie Challenge featuring Julia Barretto and Joshua Garcia, will run until October 26, 2017. To join, participants may visit the official voting site https://goo.gl/Z9uSpe, choose between Natural or Beautified Selfie, and share the link on Facebook using the hashtags #OPPOF5 and #CaptureTheRealYou. All shared posts should be in public. The lucky winner will be announced during the official launch on October 26. For more exciting updates, stay tuned on OPPO’s Facebook page www.facebook.com/OPPOPH/.